I hope you are all looking forward to a fun night of trick or treating! My kids are super excited! My life has been totally insane the past week and I have barely had a minute to myself. Oh, how I just want to curl up with a blanket, some hot chocolate and a good book! Maybe tomorrow? Next week? Someday...in the near future?!! Yep, you guessed it a box! Go figure. 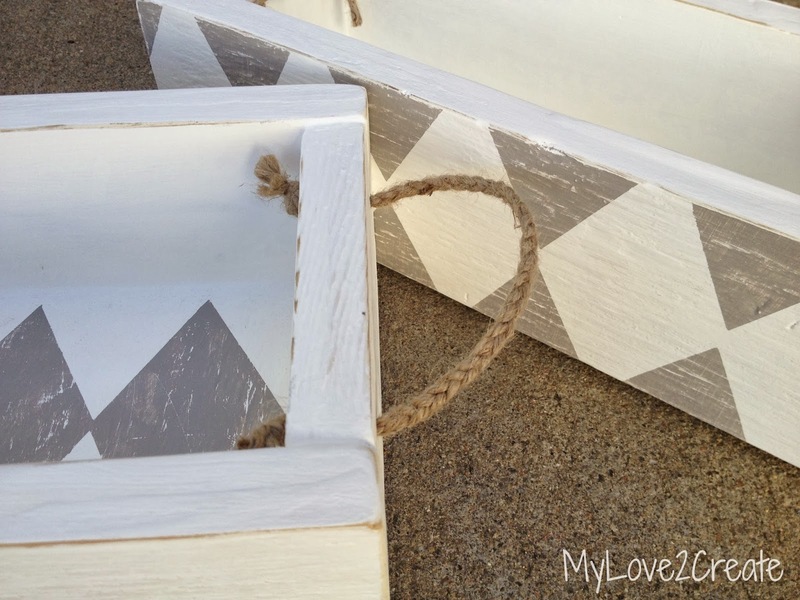 Aren't these the cutest boxes EVER?! I keep thinking why didn't I have a cute box to hold all my baby supplies? Oh well, too late now! Not only cute, but useful too. You can never have too many baby supplies, and they are easy to find all in one place! 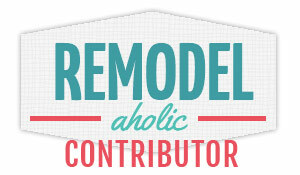 So do you want to learn how to make your own? I thought so, it is super easy! I started by making two boxes. My small box is 13 x 5 1/2 inches, and my large one is 16 x 6 1/2 inches. I used the same wood as my Chippy Decor Box for the sides (1x4 boards) and scrap plywood for the bottoms. 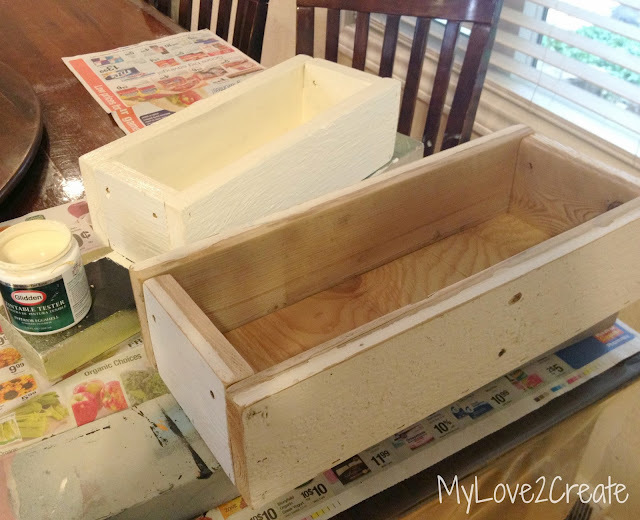 I made these boxes just like I made my Chalk Box. 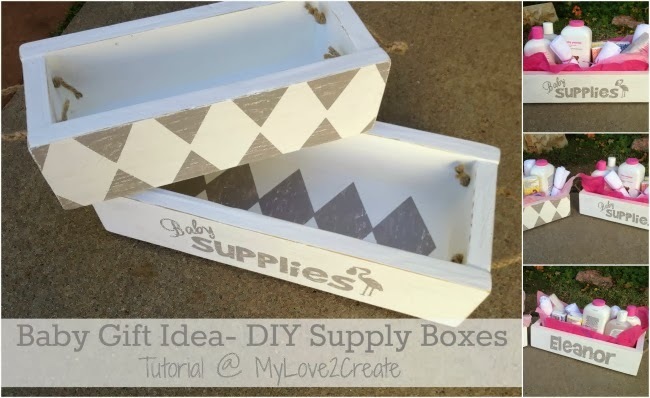 Check out the tutorial, the only difference is the size of my wood and I used glue and a nail gun for the baby supply boxes. You could also use screws too. I started painting them using a cream and then decided to finish off with a white. Using my cutting machine I designed a fun label, and cut them on contact paper. I pulled off the outside of the stencils and placed them on the side of the boxes. Using a free sample of gray paint, I did one quick coat, then started peeling off the contact paper, my favorite part! Because one of my friends had her baby name picked out, I stenciled it on the back of her supply box. 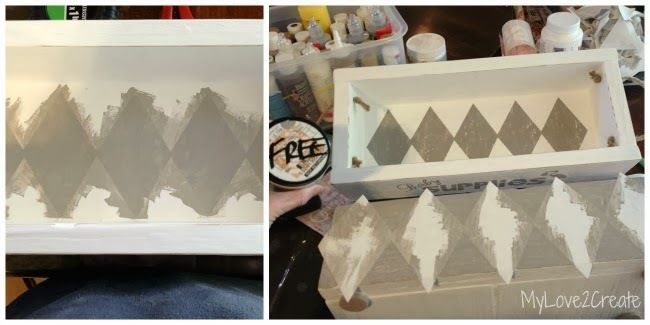 My other friend hasn't picked her baby's name yet, so I created a quick diamond pattern and cut a stencil, to place on the other side of her box (see bottom right photo above). 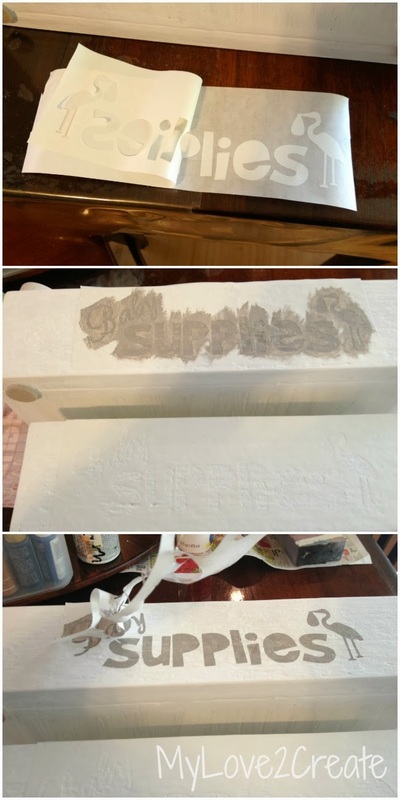 With the reverse of the stencil I decided to put it in the bottom of the other box (photos above, left and top right). Waste not, want not!! I keep the negative of every stencil, and vinyl, I hate to throw them away when I can use them again, just like this post. And, see the cuteness that happens! I would have loved to put fun handles on them, but I was at my budget, so I used the twine I had on hand. It was a little small so I made a braided rope handle. Using painters tape I taped three pieces of twine together and stuck it in one of the holes I drilled. I removed the tape and tided a knot on the inside. Then I braided the pieces and added tape at the end so I could easily stick it through the other hole. I removed the tape and tied another knot, all done! For the supplies, I got most of them at the dollar store, I bought the baby powder, body wash and lotion at Target. The boxes were free, because I made them with materials I had on hand, and the supplies to in the boxes were less than $12 each, not bad! I can't wait to give them to my friends!! That is such an awesome idea. What a beautiful and personal way to give a gift! So cute! 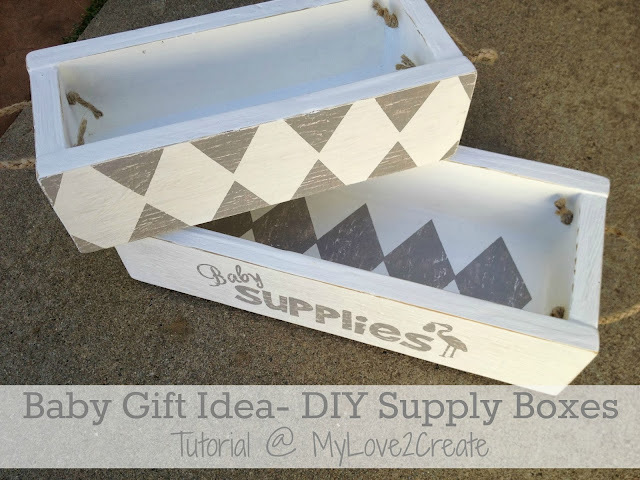 What a perfect gift, and I also love that when they're done with pampers they can be re-purposed any way you want! What a great gift--and so cute! 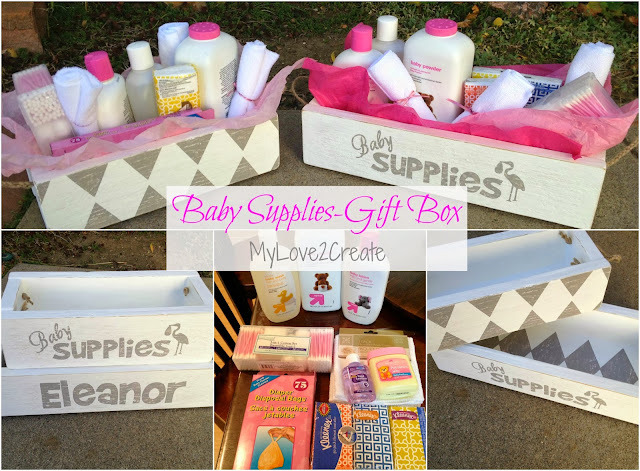 What fun, personalized baby gifts, and I love that the wooden boxes can be reused in the nursery later! Thanks for sharing such a great tutorial! Oh My Word! I love it! I have pinned it! Now I just need someone to get pregnant! Nice creativity. Really appreciable. Please post how to make it at home step by step. 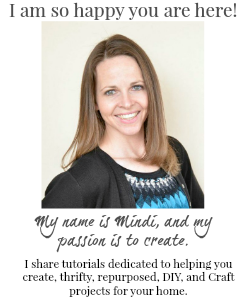 So special for the recipients!